Winners of 2018 Great British Food Awards “Best Scottish Independent Retailer"
Judges at 2017 Scotland’s Speciality Food Show. A very warm welcome to The Scottish Deli in the beautiful Highland Perthshire village of Dunkeld & Birnam. During the day, you can eat in The Deli or take away. We serve delicious gourmet sandwiches, salads, soups, homemade cakes and scones. To drink we serve a variety of soft drinks, teas and fantastic freshly ground Glenlyon coffee. With a full licence, we can also offer a wonderful range of wines, spirits, Scottish Gins and Scottish craft beers. “The Scottish Deli in the Evening” is open from 6.30pm, with a stunning menu of Scottish Deli tapas and deli treats, and a great range of delicious wines, beers and gins. 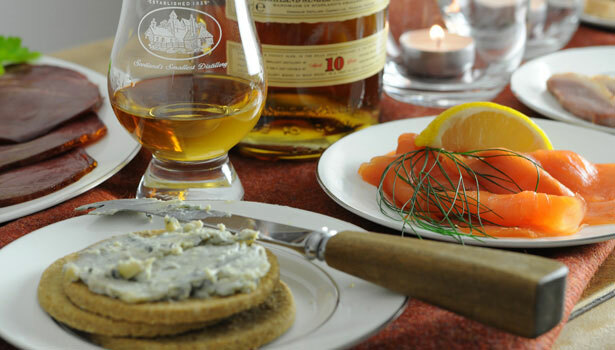 “Scottish Deli Feasts” is a creative range of outside catering options, private hire functions and bespoke cheese, wine and speciality food tastings. Key to our success is of course our great team of friendly staff who spend much of their time either baking up a storm in our kitchen, or sharing their knowledge of Scottish food with our customers.